The shift in global diet from rice to meat brings new sources of protein including lab-grown manufactured meats and high protein vegetable combinations. One of the common challenges with rising economic growth is that of increased resource consumption. As highlighted in the first section of this book, as GDP per capita increases so does food consumption: once people have more money available, one of the first things they do is to seek to improve their diet. Whether this involves an incremental shift to higher quality or more tasty foods or a more fundamental shift from, say, a rice-based diet to one with more meat, the well-recognised global impact of increased wealth is a higher calorie and, ideally, higher protein lifestyle. Just as individuals climb what is seen as the energy ladder, so they also climb the calorie and protein ladders. The more money we have, the more or better foods we eat and this is pretty well a linear relationship until the point when enough is enough. Wrap all this together with an increasing population and steadily rising economic growth worldwide and we face a significantly growing world protein demand. The big issue here is that complete protein commodities are becoming increasingly scarce and alternative sources will be required. Even without all the growth on the horizon, we already have some problems with protein deficiency. In developing countries, where food is based on plant fibres, protein deficiency is a major cause of ill health. In developed economies, protein deficiency is relatively rare but can still be found in the poorest communities where poor diets are the most common. On average, we all need around 50 g of protein per day to avoid a deficiency and in the US the recommended daily intake (measured as intake per body weight) is 0.8g/kg – so, 80 to 100g for the typical male. In terms of sources, an egg provides 6g of protein, 1 pint of milk, 19g, and 100g of chicken contains 25g of protein. Red meats contain more protein but also have a lot more fat. Excess protein cannot be stored in the body so over-consumption has no benefit and is effectively a waste. Considering the number of people on the planet, the rise of many up the protein ladder and the availability of protein, the problem we face is that we are fast running out of natural sources. Yes, we could all farm and eat more meat but the environmental impact of that in terms of land use, water consumption and carbon emissions, to name just the obvious ones, is unsustainable. Food security is an increasing issue for many governments as they seek to ensure that they have enough food for their populations. Several nations are now developing food supply strategies that will secure supplies in times of scarcity or higher prices. The 2008 food price spike caused riots and civil unrest in a number of countries, including Yemen, Somalia, Senegal, Pakistan, Mozambique, Indonesia, India, Egypt, Ivory Coast, Cameroon, Burkina Faso, the Philippines and Bangladesh. If we are going to satisfy the growing protein demand without resorting to protectionist behaviours that lead to hoarding of supplies, we need alternative sources. If we were prepared to eat more of them, then beans, whole grains and nuts are all good options because animal protein and vegetable protein have the same effects on health. The problem is that more and more of us want to eat meat and less of us are prepared to be vegetarian, even just for a day a week. Added to that, the demand for soybean, a staple diet for animals, is rapidly getting out of balance with supply. China already buys more than half of globally traded soybeans and, according to Cargill, the world’s largest food supply company, ‘the country’s annual soybean consumption will rise as much as 8% for the next three to four years’. Others see that, by 2020, global demand for soybeans will be double that of 2008. One very good, low-fat source of protein is fish, which provides around 20 g of protein per 100 g of fillet. However, according to organisations such as the International Food Policy Research Institute, the ability to meet world demand for fish from natural fish stocks has reached its peak and now is declining. Over-fishing has depleted global stocks to such an extent that we can no longer rely on this resource and the world will have to ‘turn increasingly to aquaculture or fish farms, managed natural fisheries, and genetically improved, fast-growing fish if it is to meet future food needs without ruining global aquatic resources’. The EU’s view is that, ‘As global fish stocks continue to plunge, fish farming is seen as a way of contributing to food security’, and according to the IFPRI, ‘in 2020, fish production will rely less on natural stocks and more on aquaculture and enhanced stocks’, but it will take at least another twenty-five years beyond that before aquaculture meets the majority of the world's fish needs. The most progress in this area to date has been in the Netherlands where in vitro meat production is already occurring – albeit in a lab. ‘In vitro meat, also known as cultured meat, is animal flesh that has never been part of a complete, living animal.’ To make in vitro meat, natural muscle cells are taken from a sample piece of real meat and proteins are applied to help these grow into large portions of meat. There are a couple of different approaches to this that have been tried in the field of tissue engineering and the greatest success has been seen in the Netherlands where a matrix of collagen is seeded with the muscle cells which are then bathed in a nutritient solution and induced to divide and multiply. In 2009, Dutch scientists, supported by government funding, grew meat in the laboratory using cells from a live pig and they are now also focused on using chicken cells. Other programmes are also underway in the US but at the moment the Dutch seem to be setting the pace. Although some fear such lab-based products, in reality they could be just as tasty as natural meats and may even be healthier by virtue of having a lower fat content. Cost wise, current estimates suggest that, with likely technology improvements, in vitro meat would be about twice the price of conventional chicken but with the advantage that only the bits that we want are grown rather than the whole chicken. 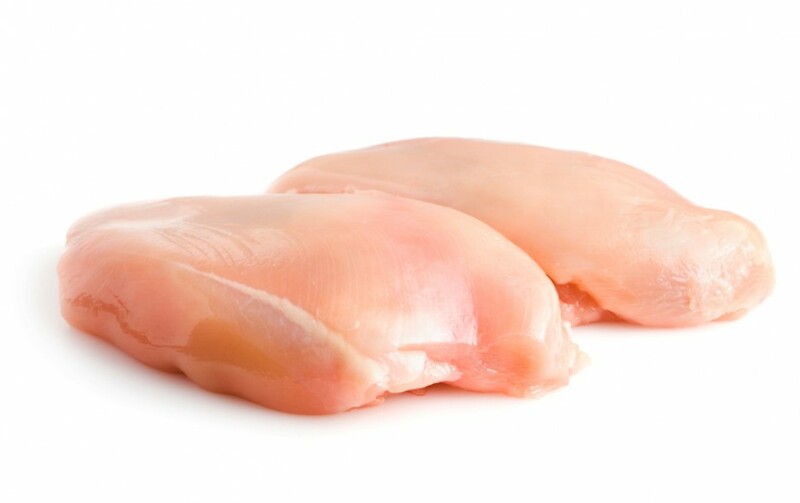 The option of artificial chicken breasts is certainly on the horizon. By 2020, with an extra 750 million or so people on the planet, many of whom will be higher consumers of meat, we can clearly see that natural proteins will more expensive. The possibility that lab‐grown meat protein will be common place is increasingly supported by world experts. However, there are a couple of other options that should also be considered. First, and highest on the agenda of many organisations including the UN, is that we all change our food consumption behaviour and become part-time vegetarians. Even if it were only for one or two days a week, if we could reduce all the world’s consumption of meat proteins by 25% it would give us some breathing space before alternatives – such as increased fish farming and even vegetable proteins – can efficiently be brought into play to meet the world’s increasing demand. In support of this, some are even advocating the rationing or premium pricing of ‘natural’ meat through the introduction of specific taxes on meat. Second, and even more controversially, there is the option of simply creating designer food sources. Now that Craig Venter and his colleagues at Synthetic Genomics and the Craig Venter Institute have successfully created a synthetic bacteria cell, the potential opportunities are endless. While the initial focus is on moving on from simple bacteria to creating algae that can play a major role in the bio-fuel arena, plants and animals are also possible avenues for this technological breakthrough. Designing new bespoke food sources as well as replicating existing ones is therefore increasingly moving from the world of science fiction into a credible future possibility.